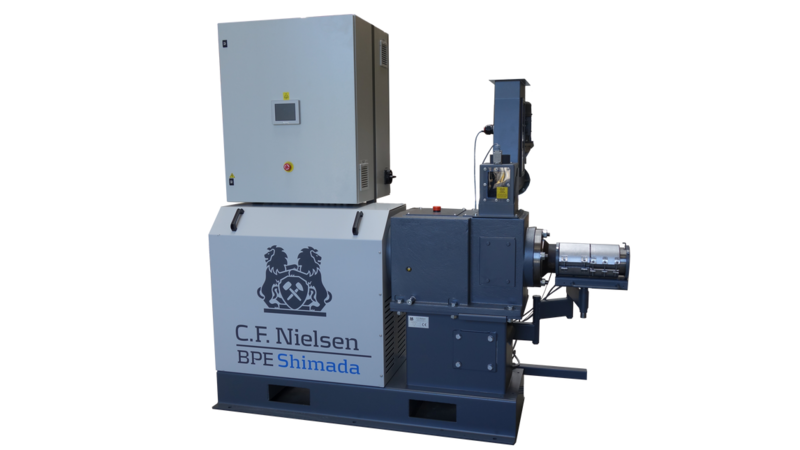 The BPE Shimada Extruder Briquetting Press can produce biomass briquettes with higher compaction, but it also has a high-energy consumption for the process compared to mechanical presses. After feeding, the material is conveyed to the briquette forming head by a revolving screw shaft driven by an electrical motor. The screw shaft is the main part of biomass briquette press. The distance becomes increasingly smaller along the screw shaft with the decreasing screw distance, the material endures higher and higher pressure resulting in a hole in the center of the briquette. Due to the high density, the briquettes are usually used for consumer logs with a long burning time. The high density also makes the briquettes suitable for carbonization. The capacity is 500 kg / h.